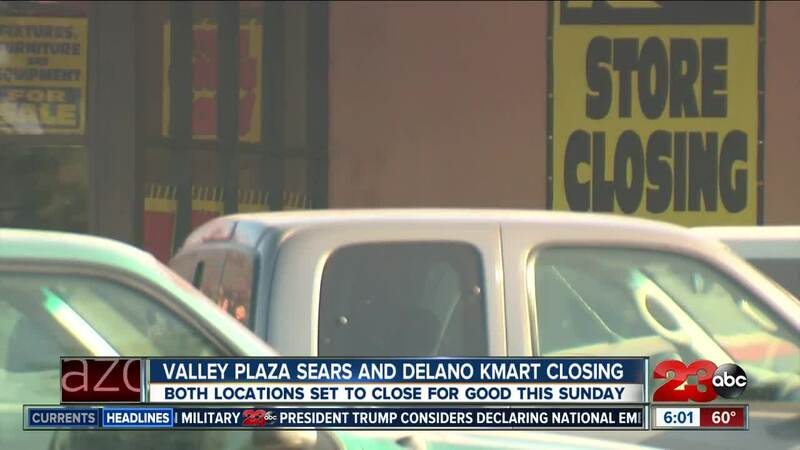 BAKERSFIELD, Calif. — According to an employee from the Valley Plaza Sears location, the department store is closing its doors for good this Sunday at 5 p.m. 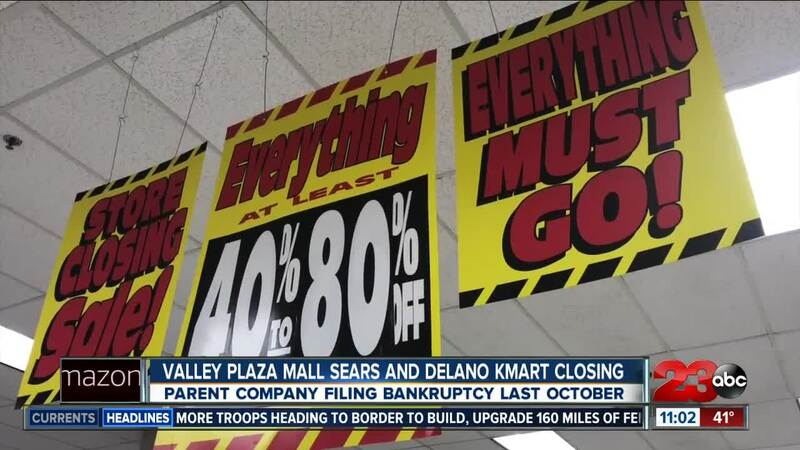 In October , Sears Holdings, the parent company, which owns Sears announced that the store in Bakersfield would be closing down at the end of the year. Sears is among the dozens of department stores that have been forced to declare bankruptcy in the Amazon era. Also closing its doors on Sunday is Kmart in Delano. They will be opening their doors at 8 a.m. on Sunday and are unsure of a closing time as of now. Kmart will also be open on Friday and Saturday from 8 a.m. to 9 p.m. The Valley Plaza Sears location will be open on Friday and Saturday from 10 a.m. to 9 p.m.